The American Civil Liberties Union of Kansas is launching a voter hotline to guard against voting problems. The Election Protection hotline will allow voters to call with questions or any issues they encounter at the polls this election season. Kansas ACLU’s Legal Director Lauren Bond described potential issues the hotline could be used for. “If there’s intimidation at the polls, if someone’s standing there and campaigning in a very threatening way, if there are questions about how long the line is, problems with the voting machines, that’s something that people might call the hotline about," Bond said. "And then we would reach out to local election officials to try to help get that resolved." Volunteer attorneys based in Kansas City will answer hotline calls during the Kansas primary election on Aug. 7 and the general election on Nov. 6. If a Kansas voter calls on a different date, they will be directed to a national hotline. Bond said that Kansas’ Election Protection hotline is modeled after similar hotlines run by ACLU chapters in other states. “We have consulted with other Election Protection programs in states like Pennsylvania and Nevada to build something similar that is still reflective of the needs and concerns of Kansans,” Bond said. The Kansas ACLU is also sending volunteers to provide on-site assistance at polling places in target areas, including Sedgwick, Reno and Johnson counties. Bond said the on-site volunteers will work as a supplement to the election office poll workers to answer voters’ questions. On-site volunteers will also help connect voters with the hotline for assistance with more complicated issues. For more information about ACLU of Kansas, visit its website. Ascha Lee is a KMUW Engagement Assistant and News Lab intern. Follow her on Twitter @AschaLee. Six weeks of protests by the Poor People’s Campaign nationwide and in Topeka aim to raise awareness of social and economic inequalities. Translating those demonstrations into changes in state policy, says at least one analyst, will likely demand more sustained efforts. Protesters occupied part of Secretary of State Kris Kobach’s office recently and 18 people were arrested. 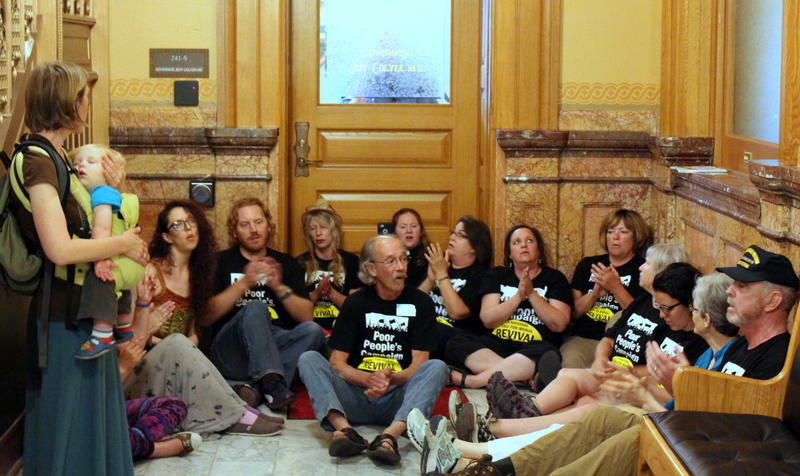 This week, Statehouse police arrested 16 people protesting in favor of Medicaid expansion outside the office of Gov. Jeff Colyer. A federal judge will now review whether it’s reasonable for an ACLU legal team to charge Kansas Secretary of State Kris Kobach $52,000 for the time it spent asking a court to hold him in contempt. The bill for attorneys fees and related expenses came Monday after the ACLU team won that contempt finding last month. 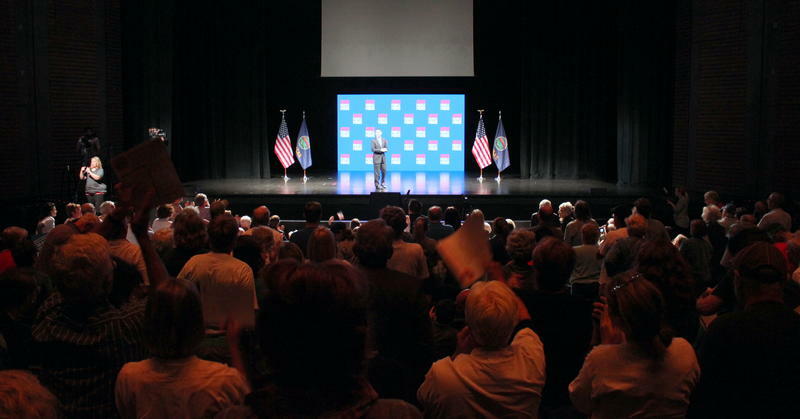 The American Civil Liberties Union launched a national voting rights campaign during a Sunday night event in Lawrence that was broadcast online throughout the country. It was the start of a grassroots effort, called Let People Vote, which the ACLU says is a chance to go on the offensive. This weekend in Lawrence, the ACLU will kick off a national campaign on voting rights called Let People Vote. The group chose Kansas because of the state’s strict voting policies pushed by Secretary of State Kris Kobach. Micah Kubic, with the ACLU of Kansas, says the group is moving to a more proactive position. “When we shift from defense to offense it means that we cannot and will not only file lawsuits and do litigation,” Kubic says.